Volunteers are, without a doubt, one of the most valuable resources a nonprofit can gain access to. This is primarily the case because nonprofit and public organizations often rely on volunteers to carry out their mission and objectives. Nonprofit volunteers usually give their time and skills to support nonprofit program delivery. 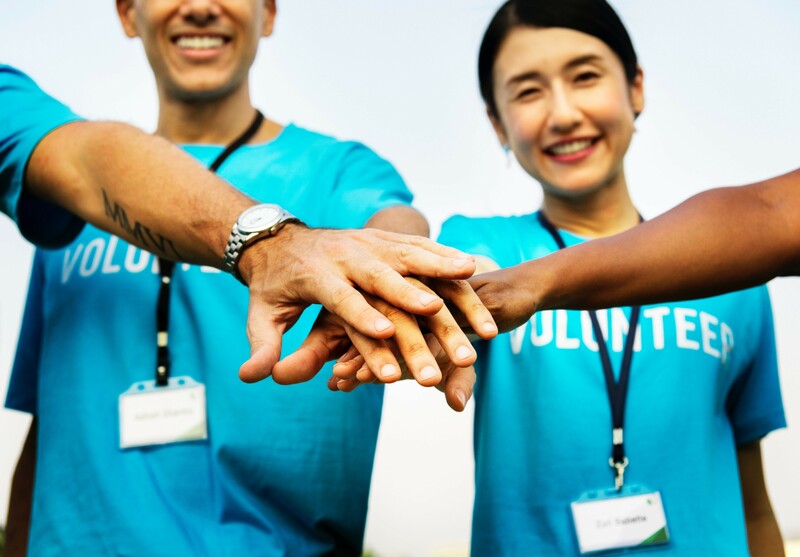 Volunteers can help with any number of tasks – from administrative tasks and fundraising to program delivery and spreading the word about your nonprofit. They are, indeed, the backbone of the nonprofit sector. Many nonprofits struggle to attract as many volunteers as they would wish for, and when they do – they sometimes struggle to keep them. We address these issues in this article. Before you bring the volunteers on board, make sure you get your house in order. What does this mean? 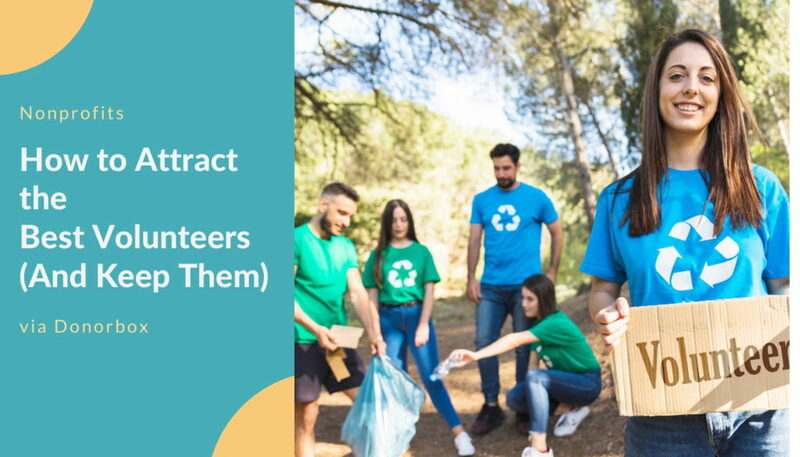 This step is incredibly important – not only to make sure you get the job done by someone who has the right skills but also to increase the chances that the volunteer(s) will be satisfied in their role (role fit is crucial to job satisfaction). With your team, go over your plans and strategies and review your progress so far. Where is it that you are doing really well? Where are you lagging behind? Identify the underperforming areas, projects, and programs and then consider recruiting volunteers to help out with those. Ensure you clearly identify the skills that are needed for that to happen and recruit volunteers for those specific roles. Having a written-out job description will also help with the onboarding of the volunteer(s) when it comes to it. Volunteer onboarding is the mechanism through which new volunteers acquire the necessary knowledge, skills, and behaviors to become effective members of your organization. Depending on the resources available to you, you might consider creating a volunteer handbook or a formal in-person training program – whatever it takes to efficiently and comprehensively get the new volunteer recruits on board. Have these ready before you start recruiting. That way, you won’t ever find yourself in a position in which this isn’t ready when a new volunteer comes in. There are multiple methods you can use to recruit volunteers. Not every method will be suitable for your nonprofit. This is why Step 1 is important. When you know who you need to recruit and what they will be doing – the how gets much easier. In addition to taking into account the jobs you need volunteers to do, also consider who could do those jobs best and who might be interested in the first place. Depending on your mission/field of work – you might attract volunteers from different demographics (e.g. Baby Boomers or Millennials). Decide how you want to promote the role(s): online portals, volunteer fairs, social media, radio. This will depend on your demographic. Finally, decide how long you will need the volunteers for and what exactly will be expected of them. Regardless of which recruitment method you’ll use, you must have a compelling recruitment message. Explain what your nonprofit hopes to achieve and why you need help. Make your message short, simple, and direct. Communicate the need for the volunteer’s service. Point out the benefits (e.g. skills and experience) the volunteer will receive as well as the community benefits that arise from volunteering. Decide whether you want to run more of a broad recruitment (i.e. warm body) or more of a targeted recruitment. Warm body recruitment is more appropriate if you’re recruiting a large number of volunteers for (usually) very short periods of time or for a specific event. This might involve distributing flyers, setting up brochures, speaking to groups, posting on socials, and more. Targeted recruitment usually involves a targeted campaign towards a specific group of individuals. This type of recruitment is effective when you need individuals with very specific skills. Think about where you could find those volunteers and what would motivate them. Maybe the volunteers you’re looking for have been right under your nose the whole time. One of the best ways to recruit volunteers is to simply ask your friends and family if they or someone they know might want to volunteer. Then, ask your current volunteers and other staff members to do the same. This tactic will help your reach grow exponentially. Plus, it builds social proof through word of mouth marketing. People are more likely to trust people they know than organizations. It’s also easier to ‘persuade’ people who already know you in one way or another than it is those who don’t (similarly to the difference between ‘cold’ and ‘warm’ leads in sales). 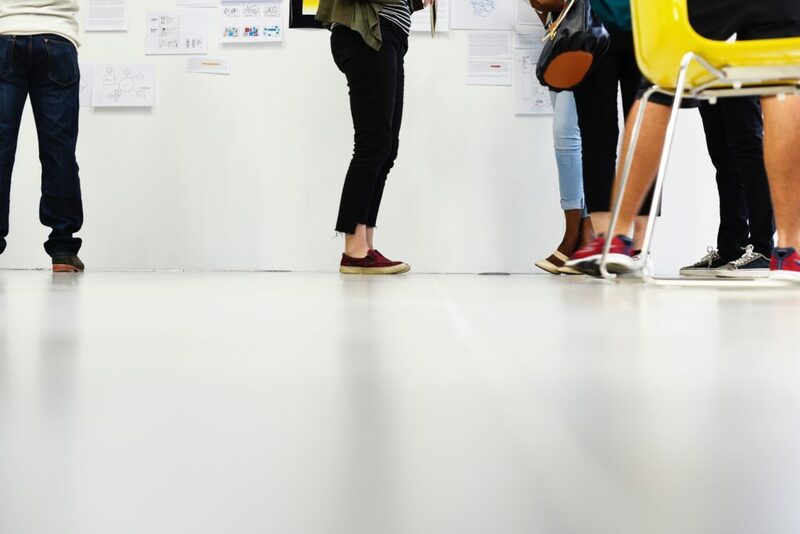 This type of recruitment, therefore, involves primarily people who are already familiar with your nonprofit or the problem you address, or who are connected through friends or staff members. In addition to using your social network to find volunteers, there are a plethora of other ways to recruit the right kind of support. Schools and universities are often filled with young and enthusiastic individuals who wish to get engaged in community service. Get in touch with the Student Services department. In many communities, businesses look for community involvement opportunities for their employees. Approach the community relations, community affairs, or corporate giving department within a company. Corporate volunteering is an increasingly popular practice. Reach out to social and professional clubs, campus-based sororities and fraternities, membership groups, and community groups. All of these can be excellent volunteer resources. In addition to these, consider posting flyers and placing announcements in the media. If possible, consider offering online volunteering opportunities. This could be particularly helpful if you’re targeting working professionals who would otherwise find it hard to have time to volunteer in addition to their full-time jobs and personal obligations. Even if some companies encourage their employees to volunteer during work hours (which is already rare), employees still lose valuable time getting to your nonprofit. Take the hassle out of volunteering by offering virtual volunteer opportunities. Through online volunteering, individuals can give their skills, knowledge, and ability directly from their computers or smartphones. The internet has created an unmatched opportunity for nonprofits in need. From data-entry and graphic design to fundraising and social media management, this type of volunteering is not limited to geographic boundaries or time constraints. It’s also more cost-effective. This skills-based volunteering is especially invaluable to smaller, local nonprofits that might lack in human resources (think a small nonprofit somewhere in South East Asia that can gain access to top-notch developers from the Silicon Valley) – or the other way around! This type of volunteering doesn’t just apply to skills like graphic design or social media management. Volunteers can, for example, teach simple computer know-how or English. Naturally, the online volunteering opportunities will differ from one nonprofit to another. There’s been a lot of buzz around microvolunteering lately. It is certainly a growing trend. Most microvolunteering took place in the UK. Australia (33%) saw the next highest interest in microvolunteering in 2015, while the US is growing from a meager 3%. Microvolunteering can include everything from sharing petitions to weeding a local community park. It offers flexibility to volunteers and a lot of opportunities for nonprofit organizations. If you’ll be trialing microvolunteering, make sure your tasks are appropriate (e.g. no complex projects that are really time-sensitive) and think it through: How much supervision do these tasks require? Who will do it? How will we verify the quality? Make sure the assignments are short – usually no more than 30 minutes – and not location-specific. They should also be engaging and making a difference – no boring admin tasks that no one else wants to do. Even though someone might be contributing to your nonprofit once for 30 minutes, still provide them the necessary guidance to complete the task. You also want to thank them and check whether you can build on this engagement to create something more long-term. Microvolunteering is an excellent supplement to traditional volunteering programs! Volunteers, like employees, come to your nonprofit with a passion for your cause and interest in your work. They, like every other human being, have preconceived ideas and expectations about their roles and your nonprofit. In order to keep your volunteers happy, it’s essential to clearly communicate expectations at the very start of your work together. Volunteers should be made familiar with their job descriptions in detail, including the inner workings of your nonprofit (to the extent required for them to thrive in their roles), their supervisor/point of contact, and the communication system. Most importantly, volunteers should understand how they will help your nonprofit advance its mission. It’s in the onboarding process that you will need to balance volunteer expectations with your own organizational goals and program expectations. This will set the tone for a positive experience for your volunteers. Your volunteers should feel like their expectations are heard and their questions answered. This increases the chances that they will continue their involvement with your nonprofit. Communicating expectations will also help new volunteers acclimate to new surroundings and overcome emotions that come with change. Fun is the secret ingredient to employee and volunteer engagement alike. Sure, it’s important to draft job descriptions and get your volunteers familiar with the internal communication system – but it’s (perhaps even equally as) important to create an environment in which volunteers will have fun and enjoy their work. One of the ways to achieve this is to create an environment where volunteers can easily develop personal, emotional, and professional connections. In your onboarding process, resources allowing, include activities that will cultivate such connections among volunteers and between volunteers and staff. For example, you could design ice-breakers and organize informal social gatherings where volunteers and staff will get to know each other. Furthermore, you could design a shadowing program where new volunteers will shadow experienced volunteers for a period of time. 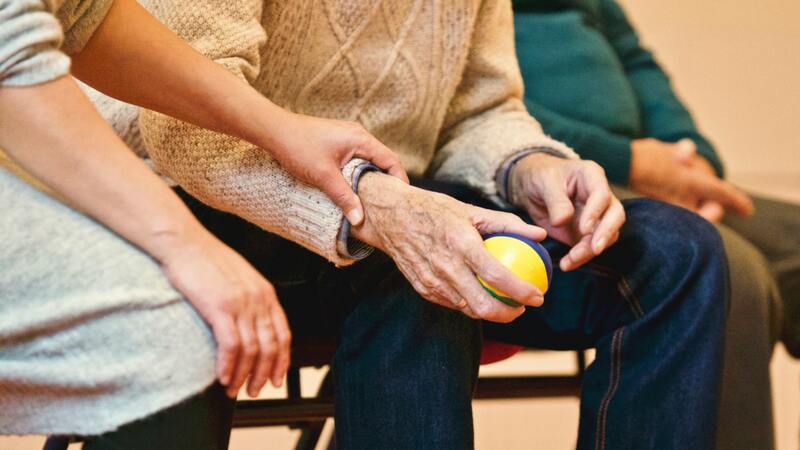 A sense of belonging and a community go a very long way in creating a positive and enjoyable atmosphere that volunteers will want to keep coming back to. As mentioned previously, similar principles that ensure high employee retention apply to retaining your volunteers too. Recognition and attention are the basics of effective volunteer management and volunteer engagement. Thank every volunteer who helps in any way. Treat everyone with the same respect and make sure no effort goes unnoticed – as much as you can afford to. In addition, make sure you recognize the most active volunteers in your nonprofit (e.g. volunteer of the week/month or a reward). Publicly recognizing volunteers will make them feel proud of their own accomplishments. Pay attention to the experience of your volunteers – what motivates them, how they feel, and how you can help them grow. Allow your volunteers to have an appropriate level of autonomy where they can direct their own tasks and come up with strategies and techniques to achieve goals. Ensure your volunteers are learning in their roles. Volunteers should feel like they’re making progress – like they’re “mastering” something. Match volunteers to roles that are just the right amount of ‘challenging’ for them. This will help keep them motivated. 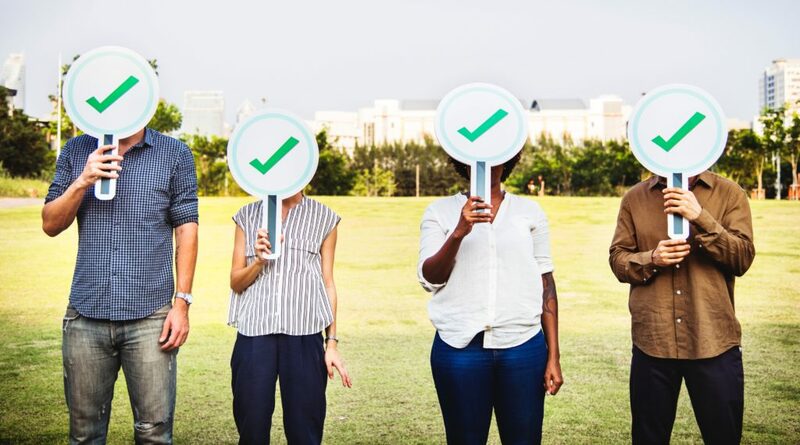 This is arguably easy for nonprofits – who already recruit volunteers who buy into their mission/cause, but everyone gets bogged down in the nitty-gritty of their role at times. Make sure your volunteers see that they’re pursuing a higher purpose and contributing to something bigger than themselves. Informally, telling volunteers they’re doing a great job and asking their opinions on internal developments are all important. Do something special for your volunteers’ birthdays, post about them on your social media, provide them training, and invest in a couple of employee perks that they’ll have access to. Paying attention will make your volunteers feel valued and increase the chances that they’ll stay with your nonprofit. There is a lot of work involved in really good volunteer recruitment and retention, but, like most things, it gets easier with practice. You should now have a clearer idea of how to find the right volunteers for your nonprofit – and keep them. If you are feeling overwhelmed by what appears to be a huge amount of work just to get volunteers on board, stay calm and optimistic! When you find the right volunteers, the rest of your work becomes easier. You’ll have more resources to accomplish your mission, you’ll establish a better reputation, and reach out to more people. Your volunteers will also help spread the word for your organization, which can bring in more donations, supporters, and employees in. Finally, you’ll also strengthen your organization’s image in your community and create awareness about your mission. A volunteer network is indeed critical to an organization’s overall success. 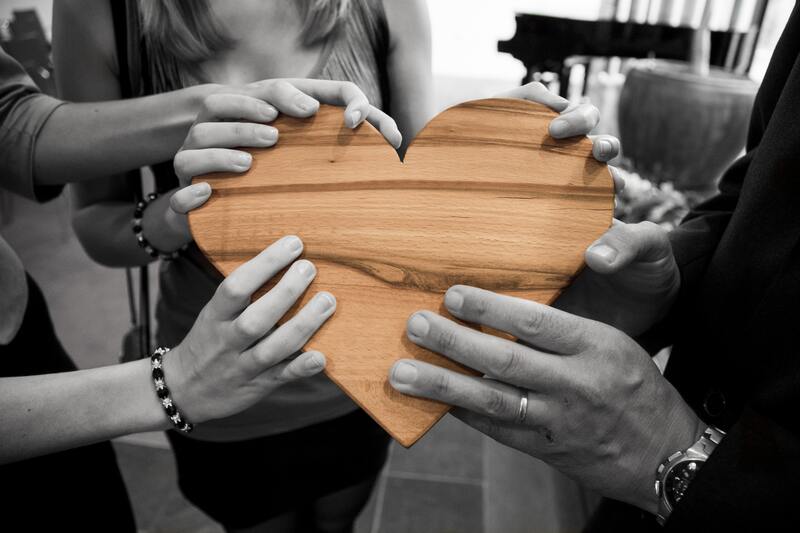 Volunteers keep your nonprofit’s mission alive in their communities. Many volunteer attraction and retention factors are under the direct control of your nonprofit. 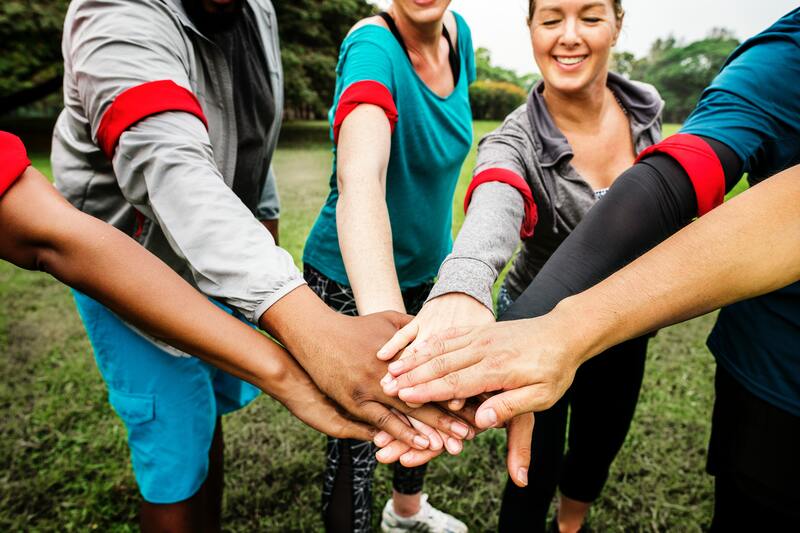 Although it appears there are many aspects to juggle, in terms of your organization’s time and energy investment, volunteers are more than worth the effort. For more nonprofit tips and resources, visit our Donorbox Nonprofit Blog.